Bobbi Brown Makes Us Pretty Again! 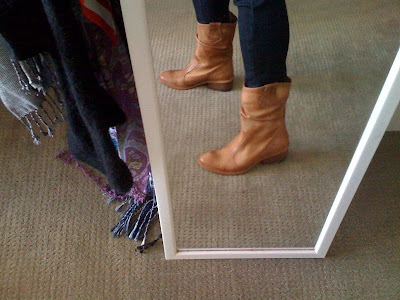 When it comes to boots, Frye -- like Hogan (or is it father?) -- knows best. 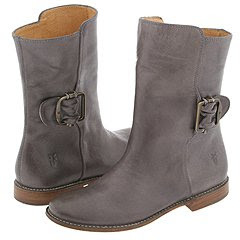 When it comes to price tag, Frye is often on the high side of things -- think of a range between $200 - $500. Everyone is cutting out where they can, but that doesn't mean you still can't get the boots you want. 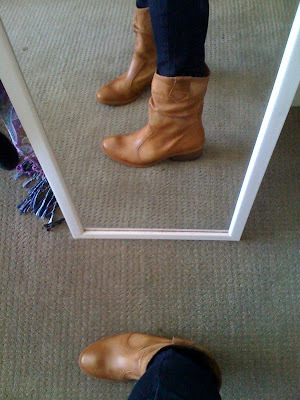 After going to the Mac store yesterday to see if my cracked laptop could be aesthetically fixed (it could and the guy who helped me was adorably the stereotypical computer geek), I wandered into Browns and found Frye-worthy, above-ankle, below-calf boots in tan (with faded spots) for $137. 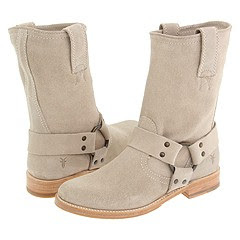 They're great quality, too, and come with cute Paul Smith-esque stripes on the inside lining. 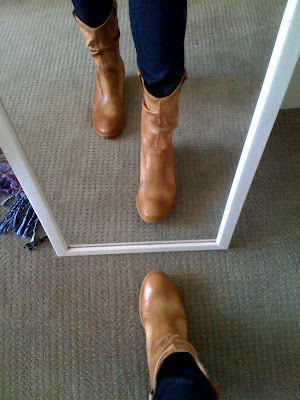 I've already pictured these boots in springtime with my coral cotton Zara dress layered with my loose vest, old Trafaluc jean jacket, fringe bag and bare legs (tanned, hopefully). I'll post a pic soon, but this weather has got to warm up first.